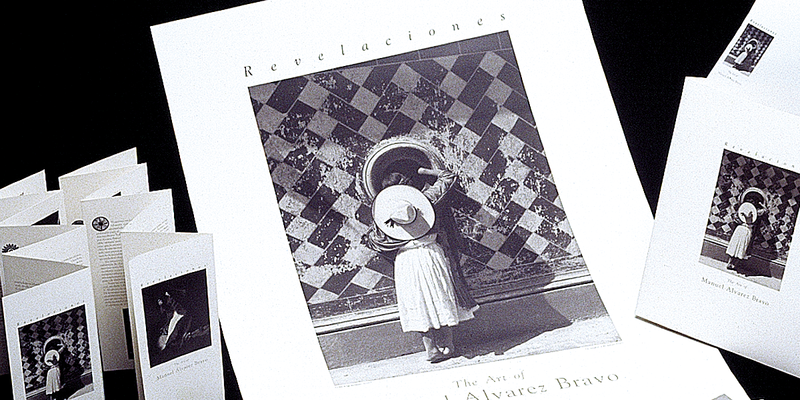 Photographer Manual Alvarez Bravo’s striking black & white photographs documents his life in Mexico. Designed as a perfect bound book, the cover photo is tipped on a specialty paper. 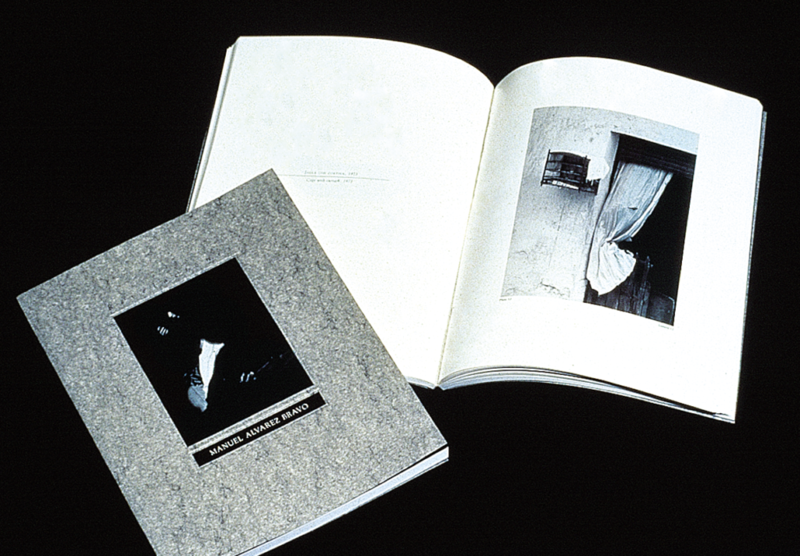 The book highlights his images shown in the Museum of Photographic Art’s exhibition. 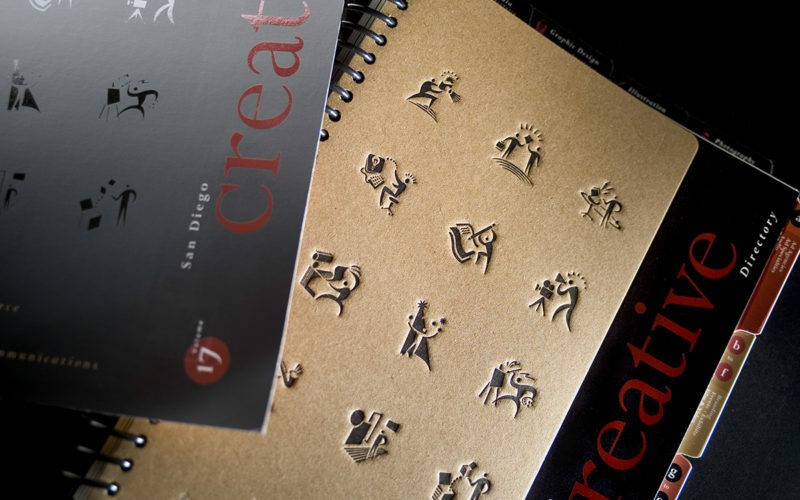 Written in Spanish and English, the book and collateral announcing the show are also bilingual. 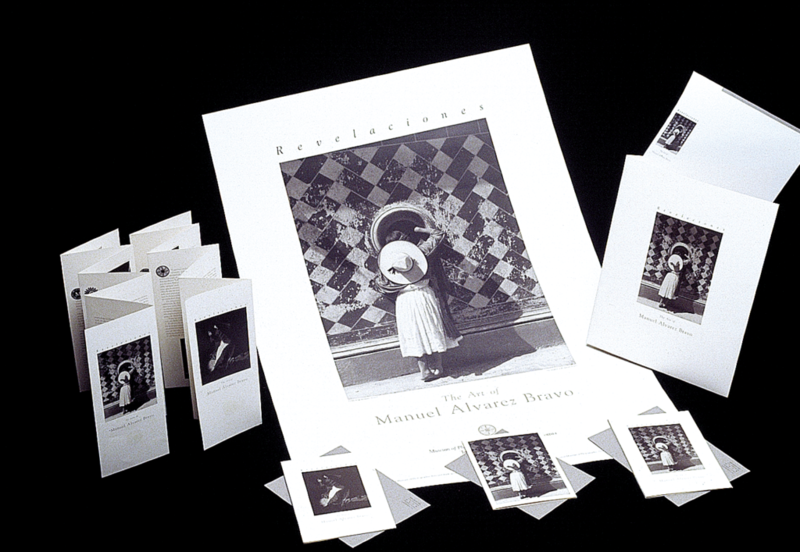 Brochures created as two-sided stories, allowed Spanish on one side & English on the other. A winner in the Typography Design Annual, this book uses both languages side-by-side to describe his life through his striking photographs.